COLUMBIA, S.C. — The third-ranking Democrat in the House on Tuesday called President Donald Trump and his family "the greatest threats to democracy of my lifetime," saying Congress needed to do more to respond to the president's attempts to undermine American institutions. 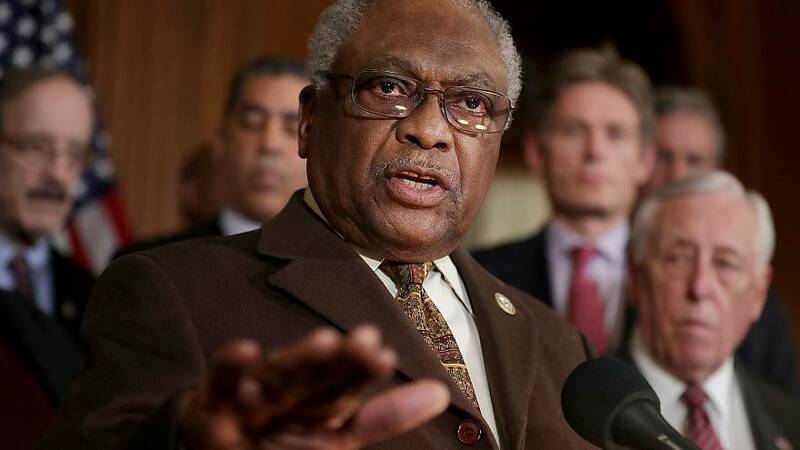 In an interview with NBC News, Clyburn noted that he had once been asked if he has ever seen a toxic political climate like today's, and that while he hadn't, he has studied ones like it. "Adolf Hitler was elected chancellor of Germany. And he went about the business of discrediting institutions to the point that people bought into" it," he said. "Nobody would have believed it now. But swastikas hung in churches throughout Germany. We had better be very careful." McCain was a "hero of our United States armed services," Clyburn said, adding that Trump was targeting him just like he'd sought to discredit previous presidents, the Congress, and the free press. "We are asking for dire consequences. And I think it's time for the Congress — House and Senate — to grow spines, and do what is necessary to protect this democracy. This man and his family are the greatest threats to democracy of my lifetime," he said. "I think all of us know that impeachment is a political concept. And if the committees do their work properly they will be able to bring the public along with them," he said. "They will be able to set the tone for impeachment if that is deserved."